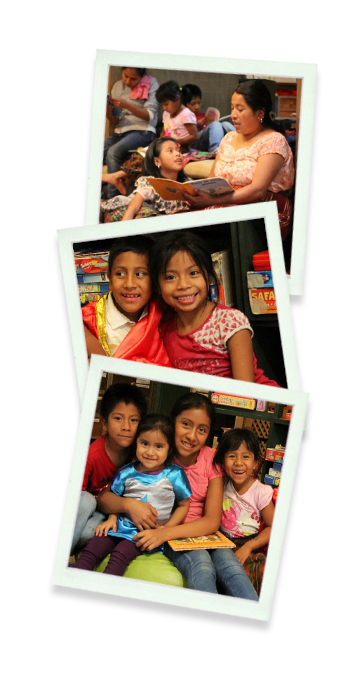 Located in San Antonio Aguas Calientes, Sacatepequez; Caldo de Piedra is an institution whose purpose is to provide access to a community library for children. Unfortunately in Guatemala, the percentage of children who have access to public education or are able to finish school is very low, as is the percentage of children who are able to learn how to read. The impact Caldo de Piedra has had since it started functioning has been very positive. It encourages the habit of reading not only for children but for their parents too. It also provides help in doing homework, studying and organizing, music and art workshops, and English lessons.